Valentines Day will be here soon! This is the kids first week back at school after Christmas Break and I feel like its been a crazy week of running and doing things. Glad its Friday! Its hard to believe there is only about 5 weeks until Valentines Day, I already feel like 2012 is whizzing by! So today I wanted to highlight some of my favorite Valentines Designs that we have available now for ordering on our website www.hannahstutus.com. I love any occasion that I can do creative things for a party I already have planned the little things I am making for my 1st graders and Preschoolers Class Parties I'll show those ideas perhaps next week. This next set of pictures is Sweetheart and its a mix of red, black and white great for some of those team sports colors after the Valentines occasion! One of my personal favorites thats perfect for all year long is the Hot ZEbra Frills its very very popular! 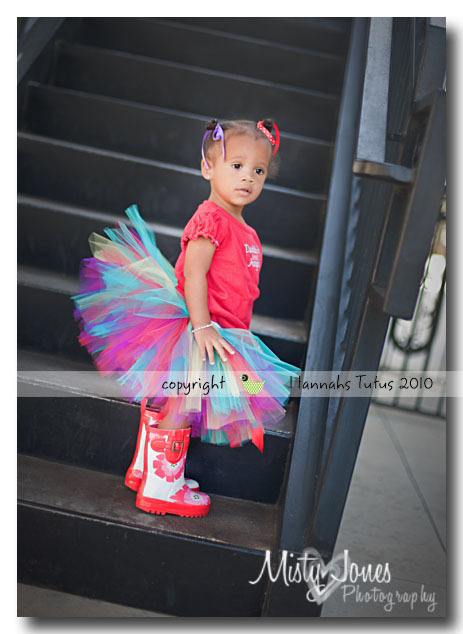 Next is Sweet Thing its adorable and Ms R is just as cute as can be posing! Hav e a great weekend I know we have a busy one planned we are working on a headboard project using a panel door and I plan to paint my laundry room so lots to do in between the 3 kids! It's a New Year and I have several things on "my list" to get done this year. We are trying to eat better and become a junk food free house, this will be hard BUT we are going to attempt to keep to this as much as possible. We still have some not so good snacks in the house until the kids eat thru them and we are trying to make healthier meals - which is hard for me I enjoy making meals BUT most of them are not the healthiest in contents. I also found this idea on pinterest where someone placed a $1 in a jar every time they worked out so thats my new thing to do for getting to the gym. I am going to just make a chart and mark off every time I make it there then hopefully I'll stay committed. So in a sense I am paying myself to work out - I figure whatever it takes I do love going to cycling and body blitz class however the problem is my boys seem to always have something going on every other week that prevents me from putting them in the nursery while I work out, so I am praying they stay healthier so in turn mommy can become healthier. This weekend my husband and I got a RARE day out with no kids when you have three little ones its not easy to get out without at least 1 of them so generally we have little Andrew with us but he just turned 2 and those terrible two tantrums are coming out so if we take him along we don't eat anywhere nice or go anywhere without rushing. So Saturday was a real treat we took a long drive and hit up several antique stores my favorite was one that looked like a junk store they are the BEST for finding things to fix up for cheap. I have several ideas I am collecting things for. So at this little dive of a place I bought an antique window and an old picture frame there is no glass in it but thats perfect I have plans for it. The following day I got an afternoon out with my mother in law and husbands aunt and yep we went to antique stores because I just love some of the looks you can get with old stuff. I scored with an old ladder. Now if I would only get going on taking down the tree and Christmas decorations so I can play around with a new decor look for my mantel and work on my antique window project. I'll post pictures soon of my projects as they come together .. I have about 20 projects on the go in addition to the ones above I am making some swags for my bedroom windows, some pillows and changing some pictures to feature some fabric I found. We will have to see how everything comes along ..
We have also extended the ready2ship sale on etsy so dont forget to check out the ready2ships on sale. Not sure how long I'll keep the sale extended for but its just a little thank you for a great 2011 and to help out customers since I know the economy makes purchasing those birthday goodies a little tougher. Hope you have a great 2012 and will continue to follow our blog and facebook pages! A little sweetness for Valentines! This morning I went out to get a few things and well its only 3 days after Christmas but you better believe that Valentines Day Cards are already out! I know I have already started to pin ideas from cards, kids party set ups and favors for Valentines Day. 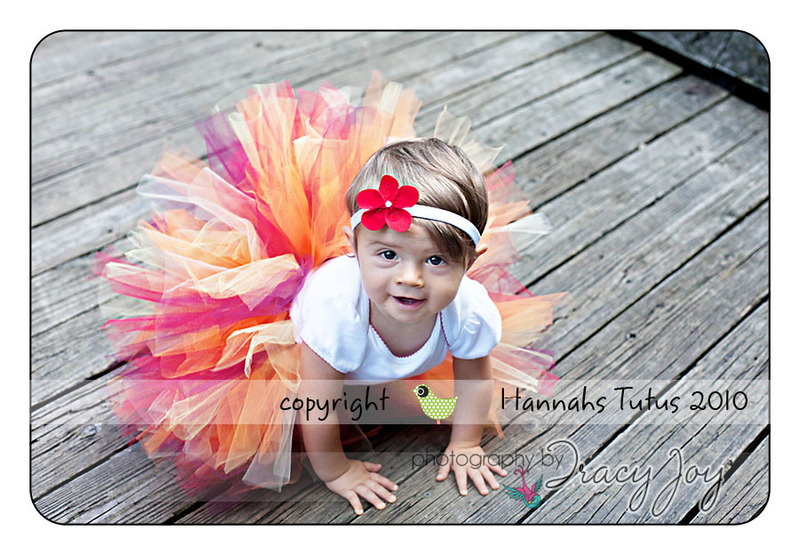 So I wanted to share this sweet tutu picture with you today. This is chocolate sweetness its three shades of pink with some chocolate and a chocolate ribbon bow on the waist. I love the vintage looking seat that was used in this picture. 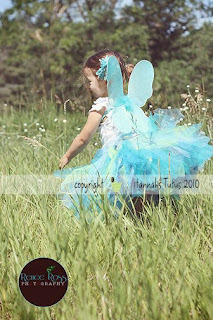 The talented Katie Christy Photography photographed this tutu check her out on facebook http://www.facebook.com/#!/pages/Katie-Christy-Photography/135292799469 I love all the props Katie uses she is super creative and one BUSY BUSY mom!!! So go and become a fan of her page. 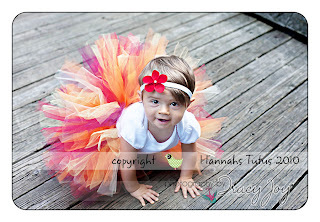 To order this adorable tutu go to our main page at www.hannahstutus.com !! Getting Back in the Groove!! Well I have to say I am a little embarassed to admit that I haven't posted on my blog ALL YEAR! So this year I am "planning" (notice I said planning) to get into a weekly schedule of posting to the Blog. 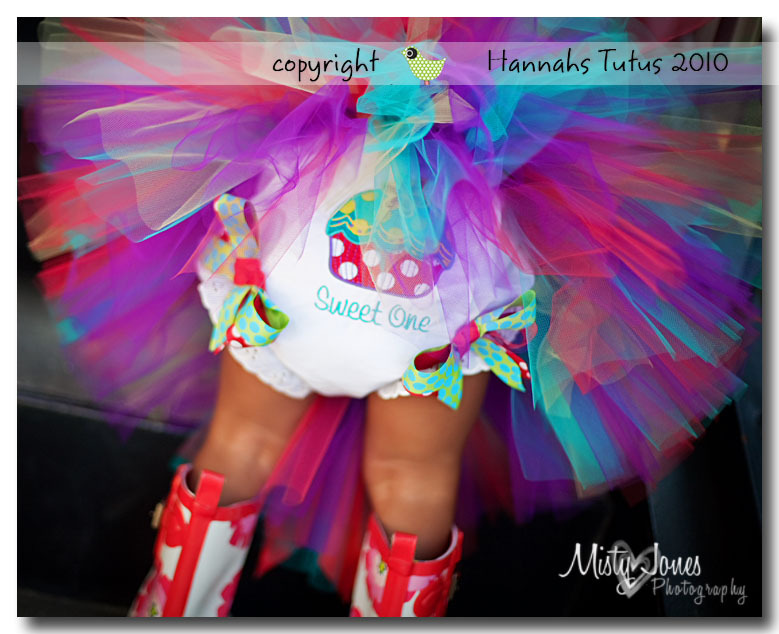 In the past I found I just can't talk about tutus all the time, love my business but there is so much more to my life these days. With three kids now 6, 4, 2 life gets hectic at times. Right now only one of them is in school and yes I work my business around life with the other two so I can be a stay at home mom. 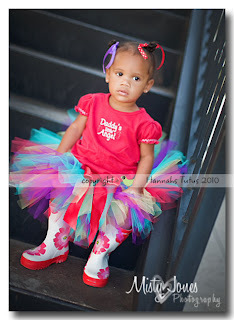 So this year the blog will become more than just tutus!!! I want to do posts on great ideas .. speaking of that do you pinterest?? If not, check out http://www.pinterest.com/ I am VERY addicted!! Posts will cover everything from tutu sales and giveaways, new designs, other great mom businesses, wonderful DIY projects that I try because who doesn't want to learn how to make new things. Other posts might include new recipes I try I have to admit since we designed our kitchen and I have a double oven and fantastic set up I LOVE cooking so I want to let you know about easy recipes and especially those that the kids LOVE. Lastly, lets talk about deals .. if you know me personally then you know I love a deal, I coupon and watch for deals all the time so occasionally I'll chat on my struggles to keep couponing and saving money on groceries and toiletries .. its hard to do and requires organization and sometimes I do really good and then sometimes I slack off. I would also love to have some guest bloggers thats right? Do you have something interesting you would like to share? Send me an email and I'd love to hear from you - perhaps its the way you organize your coupons or on a party you threw together (I love planning parties) or anything else .. This holiday season be sure to thank someone for what they have done in your life this year! To end out the year we are having a fabulous sale on ready2ships in our etsy store for $20 ... custom orders are regular pricing but thats a deal on ready2ships and we have over 50 in stock and ready in an assortment of sizes. Don't forget to coordinate a top or pair of bloomers with your tutu, my long time friend Kerry does such a fabulous job on her products we have worked together for about 4 years now coordinating outfits. Her main site is http://www.bellaclairebaby.com/ and she keeps a great inventory of ready2ships in the etsy store for those of you ordering last minute. So until next week ..
are giving away one incredible "full" birthday set to ONE lucky winner, valued at over $90 you will want to win this adorable set! 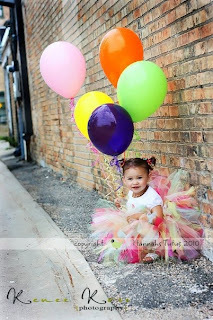 The Birthday Bash tutu made at a 18 inch starting waist and features the 8/9 length perfect for the party! 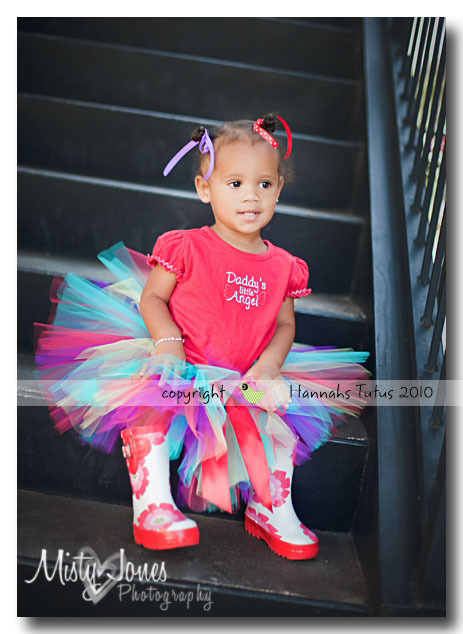 This colorful tutu with ribbon ties is our top seller! This is one fabulous giveaway!! ENTRY POSTS PLACED IN OTHER AREAS OTHER THAN THE BLOG COMMENTS WILL NOT BE COUNTED. (2) Become a fan of Bella Claire Baby on facebook then post a comment on their fanpage about the giveaway then post below in the blog comments that you are a fan to make your addtl entry official. 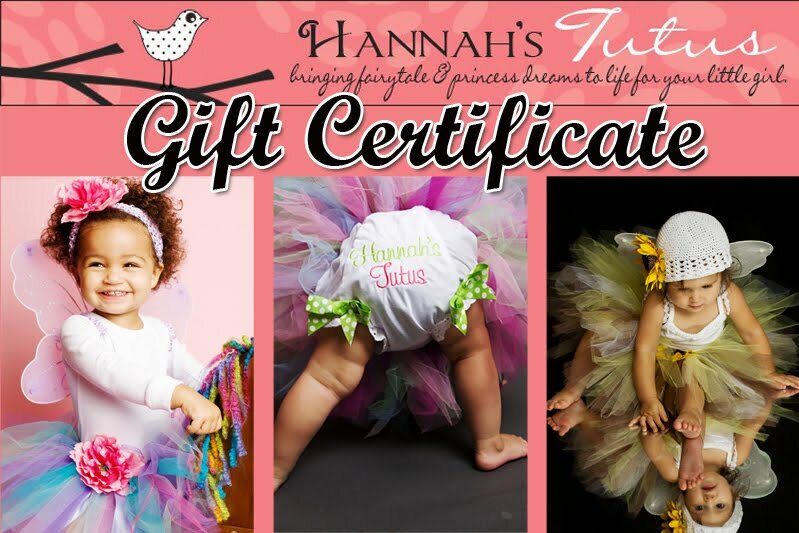 (3) Check out our websites http://www.bellaclairebaby.com/ & http://www.hannahstutus.com/ and tell us your favorite combination for a 1st birthday set! Post your comments below for your official entry. (4) Repost about this giveaway on facebook, your blog and comment below for another official entry. 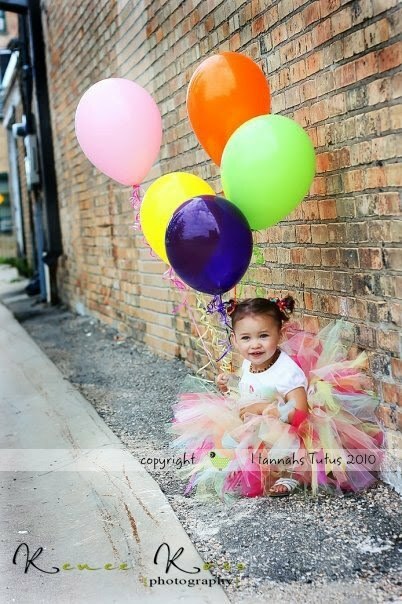 (5) Post a comment below on your favorite 1st Birthday Theme or Party idea for an additional entry. Thats 5 chances to win this set!! Entries can be posted today through Tuesday at noon cst. Winner will be selected at random based on comment #'s on Tuesday afternoon. Then be sure to check out us out all next week and leading up to Christmas as we offer some fabulous giveaways to say thank you to our loyal fans. Its hard to believe that the summer is just about over and kids are returning to school. Summer zipped by and the Halloween season is in full swing with costume orders. I love this time of the year but it does get pretty busy and hectic for me. We have enjoyed doing a giveaway a week all summer long and so to finish the summer we have an adorable set up for grabs. Check out the pictures below of our Sweet Paris Kitty tutu .. I love this tutu and the fancy ribbons on top, so this week's winner will get the sweet tutu (sized at a 18.5 starting waist 8/9 length) , a set of the black fuzzy ears shown in the pictures below and a size 3 pair of the matching bloomers from www.bellaclairebaby.com (sized for 12-24 mth girls). This week the entry will be on our main page in facebook its the last week of our summer giveaways and we want it to be noticed.. BUT PLEASE read the entry instructions, posts in other places on the facebook page will be deleted and not counted. This is very important since I am sure many of you would love to win this set. 1. Post below our I want to win post on the main page (link below) that you are a fan this gets you 1 entry. 3. Tell your facebook friends about this great giveaway, then post under I want to win again with the link ... prefer to post a link on your blog thats fine too. Entries can be posted through Sunday, August 22nd 11:59 pm cst. So after we created we decided to have Misty at http://www.mistyjonesphotography.com/ shoot some shots of this set and offer it. The tutu features red - purple - yellow - and teal.. so quite a different mix of colors its finished with a red bow. The size we have for the lucky winner is a 18.5 starting waist with the 8/9 length. So how to enter? READ BELOW, WE CAN NOT STRESS ENOUGH TO READ THE INSTRUCTIONS FOR ENTERING OUR GIVEAWAYS TO ENSURE YOUR ENTRIES ARE COUNTED. 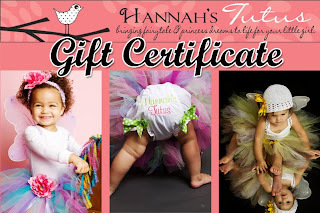 To enter the Giveaway YOU must be a FAN of Hannah's Tutus on our facebook page. Then all entries MUST be posted in the DISCUSSIONS Tab under the Giveaway labeled for this week. Unfortunately posts on the main area or blog won't count. This week will be a random drawing for the winner so its up to grabs for anyone. 2. 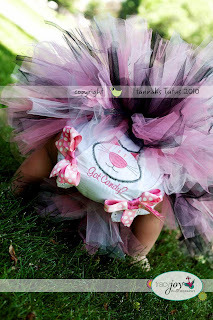 Check out all the adorable bloomers in Bella Claire Baby's etsy store (link below) and tell us what item you like best.. Giveaway week of August 2nd thru August 8th!! and let them run some energy off. trees changing, pumpkin patches, just love it. to help our customers get into Fall and Halloween! This giveaway is all about getting the word out.. Please note referral entrys are posted by the new fan and MUST be in the discussions area of our facebook page - posts on the front section will not be counted so be sure to tell your friends to post in the right area so they can be counted. And - best yet you can be a new fan and refer friends and win this too!! Thanks to all that participated... we only have a few giveaways left for our summer giveaway time so if you haven't tried to enter yet - its not too late. I'll be posting the next giveaway later today!! Last week we asked you to submit ideas for either a witch tutu or fairy tutu - to complete the look we said we would include a pair of wings and/or witch hat to match for the winner ~ the winning person gets their look created for them (within the limits of our supplies on hand). So I look forward to creating a set for each of these winners based on the idea they presented with what I am able to do! This week I choose to have 2 winners, 1 selected randomly by http://www.random.org/ and the other selected with the help of one of my favorite photographers (http://www.mistyjonesphotography.com/). Congrats to our winners, I will be contacting you within the next day to get some sizing details so be sure to measure those little ones waists, the winner can have a tutu up to a 20 inch starting waist and max length of 10/11. Winning custom items will take up to 14 business days to be made along with 3 addtl days to ship to you. My second idea would be a rainbow sherbet fairy. 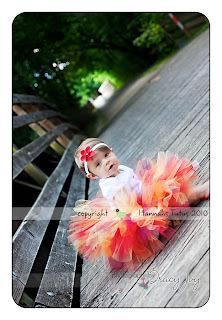 Tutu with lemon and a hint of hot pink and citrus tulle. Tutu could also be embellished with ribbons in those colors as well. Wings in lemon with some sparkle in them. Idea - My favorite flower is the Stargazer Lily so I would base a Lily Fairy on this - the tutu would have dusty rose tulle and white for the petals. Maybe a few lemon pieces for the stamen and depth. Pink wings and of course of lily on a headband. Congratulations to all there were many many great ideas!! Week of July 26th Giveaway.. So starting this week the giveaways will always start on the MONDAY of the week .. and finish on the Sunday evenings at 11:59 pm CST. Again, like on Friday's the time we post the giveaway will vary (please keep in mind that I work sometimes in the day and sometimes in the evening to accomodate my kiddies schedules and my college helpers school schedule... so I won't guarantee a post by 8 am every Monday or announcing the winner by that day on the noon ... but it will be done every Monday ...). In the last few weeks of our summer giveaways we will have a few fall and Halloween items lined up. 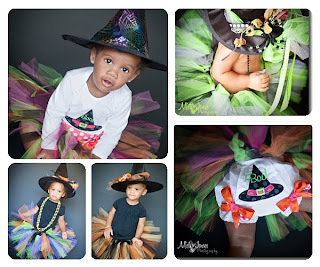 I don't know how you liked last weeks design a witch tutu but I loved it!! So after getting some feedback I am going to do something different than I had originally planned for this week's giveaway and this will most likely be the last giveaway that is like this as I already have the remaining giveaways planned..
repeat but with 2 options for ideas.. so enter in the idea that you want to win.. 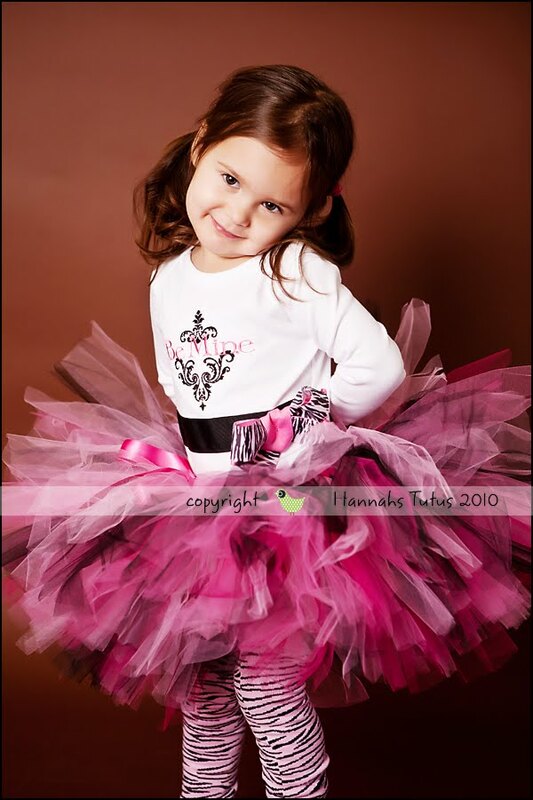 The winner can custom choose the sizing of their tutu - sizing must be a waist of 20 inches or less and no more than a 10/11 length - winners please allow 14 business days from the time you confirm your sizing for us to make - then shipping time to you. I work with will select the 2nd winner based from an idea that we love!! So PLEASE read how to post for this contest so your entry will be valid! So here are the rules..... please read them in full, last week I had to delete several posts on the discussion board since they were not posted correctly. It is very important that you post correctly to avoid having your post deleted. Each of the below gets you one ENTRY to post with - in that ENTRY please provide the info below requested AND your idea in that post. There can only be one idea in your post so you must decide if you want to enter a WITCH idea or a FAIRY idea. Please do not enter 1 idea for each in one post. ALL IDEAS MUST BE POSTED IN THE APPROPIATE DISCUSSION AREA TO BE CONSIDERED. 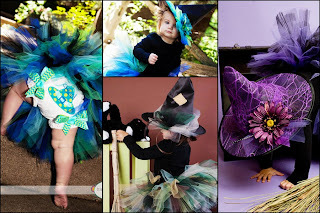 (1) All fans get the opportunity for 1 idea post ... just post in THE DISCUSSIONS TAB a witch tutu idea (yes you can use your idea from last week if you didn't win) OR post a fairy tutu idea. 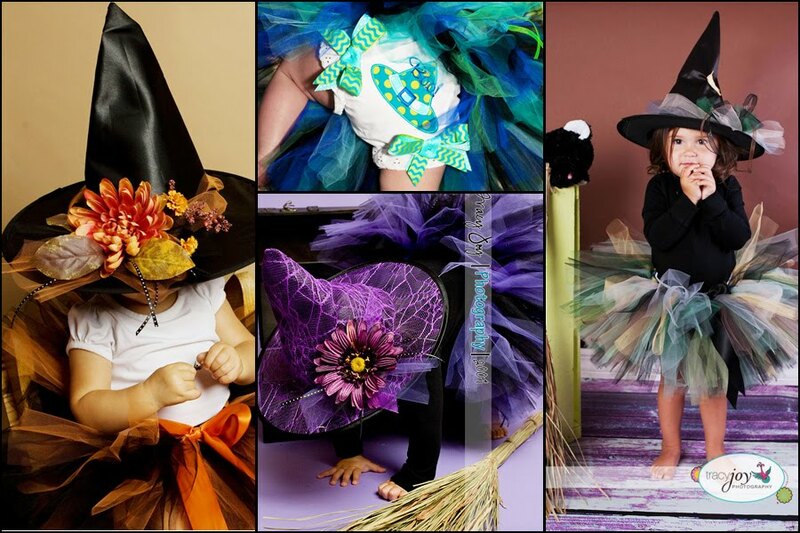 (2) Become a fan of Bella Claire Baby on facebook, and earn an addtl entry - please post that you have become a fan of BCB and then post 1 idea again choose whether to submit a witch or a fairy idea. 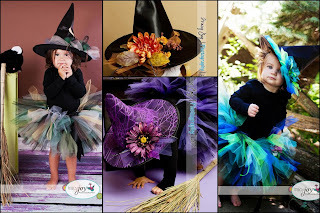 (3) Give a cute Halloween Party Idea (Games, Decor, Food etc) in a post and then in the same post you may post a 3rd idea of either a witch or a fairy. (4) Finally a 4th entry is available for all customers that have purchased during the month of JULY 2010, you MUST POST that you purchased, the name purchased under and then your idea in that post again only one idea so choose between a witch or fairy. SO this will be asked... if you have 3 entries ... you can submit 2 witch ideas and 1 fairy idea... but only 1 idea per a post. 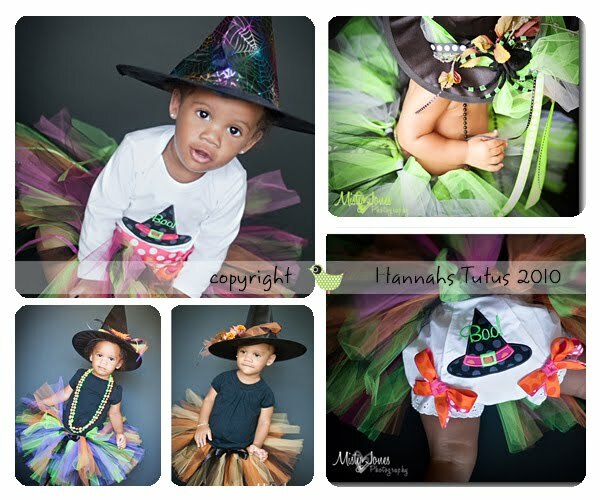 I know you have probably been waiting all day for me to post the winner for the Design a witch tutu giveaway we did this week! I am a little behind on things this week and today, because a few days ago one of my kids broke out... what started as a few spots on the face evolved to spots all over and a chicken pox diagnosis. They "say" if you get this and you have had the vaccine it "should" be milder, well his face is absolutely covered and all the rest of his body. So my 3 yr old is a little miserable and this is also preventing me from getting into my studio as much as I normally do (dont worry its a NO chicken pox zone!!). Anyway it shouldnt affect make times .. they may be at the longer end of the range for the next week or two ..but since we can't go anywhere I'll probably try and work in the studio some extra this weekend to help with the work time I am missing to snuggle with the unhappy boy. Just hoping my 7 mth old doesn't show up with this (he isn't old enough for the vaccine) ... and hopefully it will skip Hannah. We have laughed and said our luck will be on day 8 of Mr C's another child will start with it, then on day 8 of that just when we think we can escape to public again another child will get it. So needless to say I am normally answering replys right away and have been a little ahead of the make time but this unexpected sickness is slowing me down a little. I definetly had fun reading all the witch ideas.. many were elaborate the giveaway was for a custom witch tutu you pick the colors and ribbons ideas (so there were many ideas that went into more detail with extras that I just don't keep around so if your idea is choosen the tutu will be made as close to the idea within the parameters of what we have supply wise and what the giveaway stated as far as design (you pick colors and we do the ribbons) also many gave elaborate design ideas for the witches hats again I'll try and make as close for the winner but the giveaway does state it will be made to match the tutu colors with our fancy look that we normally do so some things I will not be able to do with the supplies we keep at hand... just wanted to mention since there were definetly some amazing ideas but Halloween supplies are so hard to keep in stock that every year I decide on specific designs/items to offer and thats what I offer .. with living 30-45 + minutes from most stores I don't always have the luxury to special shop for designs (like I used to) now that I have 3 little ones and work this business full time... so I hope the winner will love what I design based on their idea posted). My first and favorite idea is a Sassy Witch. She would have the shades mostly of Hot Pink but also Black, Lavender and Melon. top it off with Polka Dot ribbons! Her hat would consist of tulle and Polka Dot Ribbons and a Big Hot Pink Bow!! Sassy and Classy! 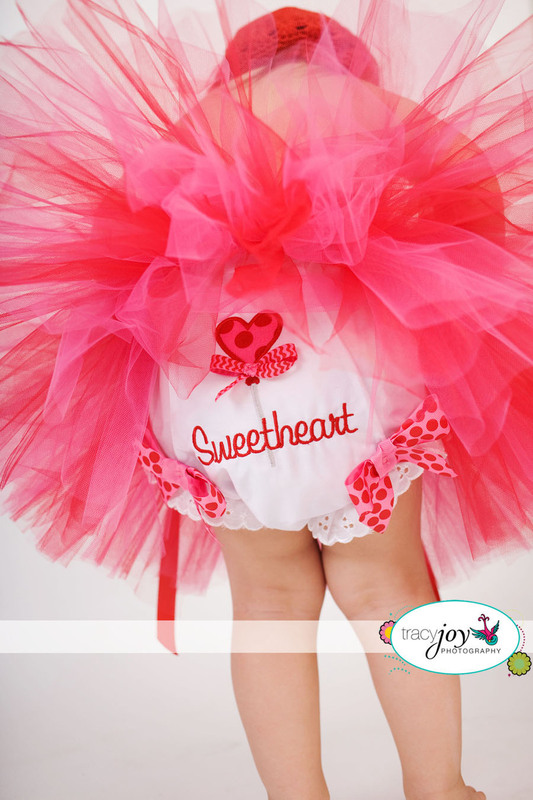 We will be contacting you shortly for sizing please remember the tutu can be made to any waist size 20 inches or less and up to a 10/11 length !!! 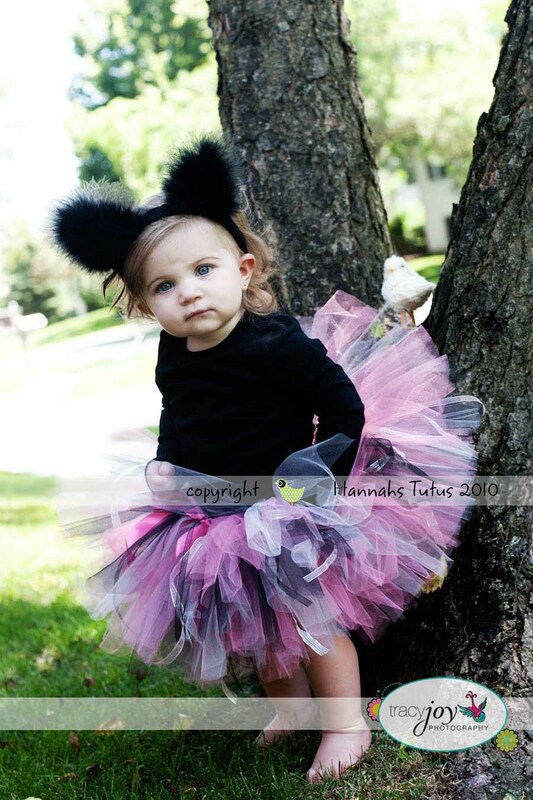 Thanks to all that entered our next giveaway will be posted shortly and well we only have a few more weeks of giveaways so now more than ever you will want to keep up with what we have in our giveaway since there will be a Halloween set with matching bloomers and a fall tutu with matching bloomers and a few more cute items to be won over the next few weeks. Check out the new exciting giveaway!!! My favorite costumes this year are all the little witches I am offering, I LOVE making witches we are offering about 7 or so witches designs .. 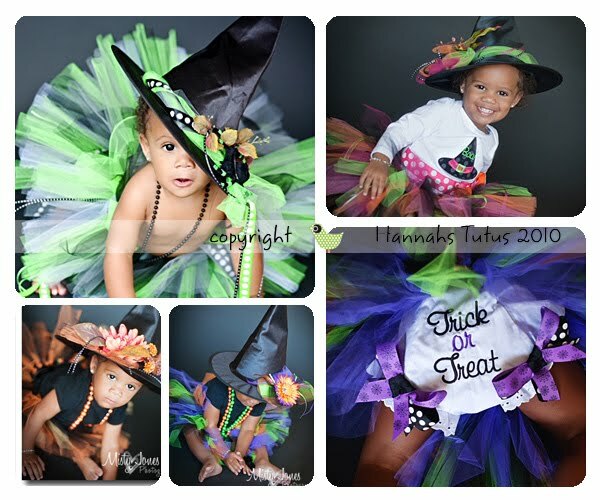 BUT customers can also custom create their own witch look all I need to know is the colors you want and I can make a set perfect to your little girls color preferences. So don't feel as though you are bound to the colors of the witch sets I show .. if you want to create your own look always feel free to email me info@hannahstutus.com . Think of how you would like to see a little witch done (colors) do you want just fancy ribbons or the modern big polka dot ribbons the mod witch set offers... then we want to know ... all posts must be made in our discussions area on facebook. We will then custom create the winning witch idea for that person ... the tutu can be custom made up to a 20 inch waist and up to a 10/11 waist. 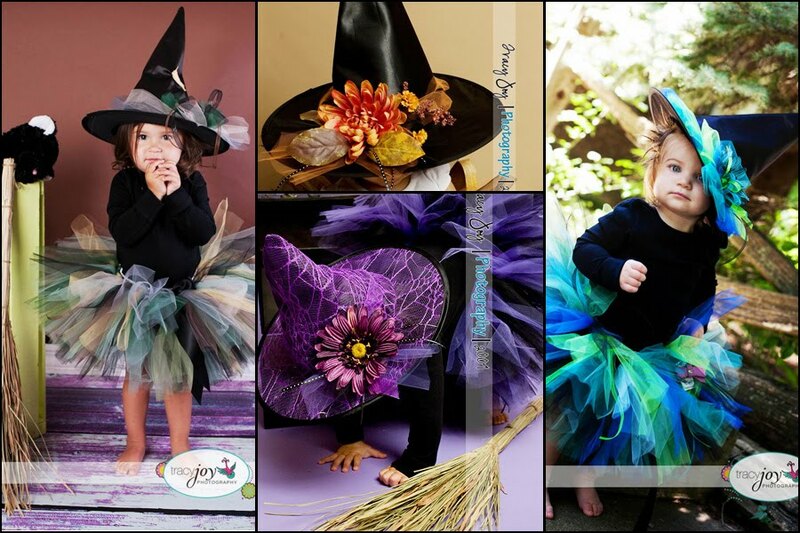 We will make a witches hat to compliment the look of the witch tutu for the winner..
**Please note that the witches hat will be made to compliment the look with flowers and greenery tulle and ribbons only. THIS IS AN INCREDIBLE GIVEAWAY!!! YOU CAN EARN UP TO 3 WITCH IDEA ENTRYS..
(2) Post about this giveaway on your fb page or blog then you are eligible to submit a 2nd idea (on the same post as your 2nd idea pls leave the link to your post on the giveaway). (3) If you have made a purchase in July or make one while this giveaway is going on you are eligible to submit and extra entry. Post your idea and let me know the name your purchase was under. Please only post 1 entry unless you earn the bonus entries, addtl entries not meeting the criteria explained above will be deleted from the discussions post board. Enter now thru Thursday, July 22nd 11:59pm CST - winner will be announced on July 23rd and will need to provide sizing info for us to make the witch set - please allow us 14 business days to make the winning set. So what are you waiting for start thinking up an idea ... AND GET THEM POSTED.. 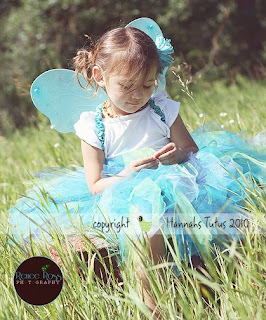 I hope everyone loved that we offered one of our Mermaid Dreams Tutus in this week's giveaway .. as you post for the giveaways I have been reading the comments and what tutus our fans love or want to see in our summer giveaways and so thats how we decided to offer the popular Mermaid Dreams tutu for this week. Congratulations to facebook poster Delisha Kitts.. Congratulations!!! I can't wait to post the next giveaway for this coming week its going to be FANTASTIC!!! you will NOT want to miss it!!! 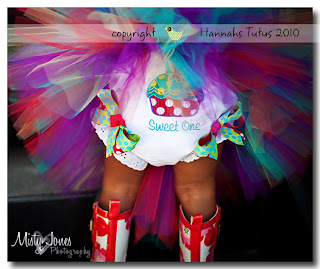 Don't forget to check out our Bulk Buying deal thats still available thru the end of July .. You get 5 tutus for $100 .. you must buy 5 tutus all in one order and ship to one location to get the deal. Its great for photographers wanting to get some new looks for the fall .. or if a group of moms want to band together and buy...or perhaps you want to take care of Birthday Gifts for 5 little girls. 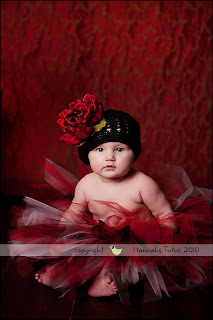 The tutus can be in any color mix you like the base package includes tutus in any color mix and a ribbon bow on the waist... 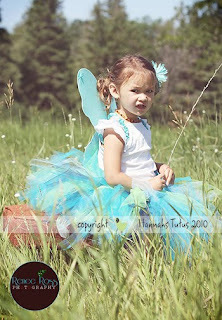 BUT you can upgrade the package to include the tied ribbons look on your tutus and to include coordinating headbands!! PLUS the shipping is only a flat rate cost, due to the oversized boxes they may ship parcel post to you depending on your location. You can even pick any of the new Halloween or Fall color combinations for your deal!! Can you believe summer is 1/2 way over .. here in Missouri we have about 6 or so more weeks until kids return to school, this year I'll have a Kindergarten Girl - she only just makes our cut off for this year but shes excited to go and my 2nd will start preschool ... it will change my schedule some for working so I will definetly be working a staggered day in the fall ..
As we continue this summer of giveaways... I wanted to remind everyone that you must post a comment for each entry.. .. its been fun so far this summer. I hope you are enjoying the Halloween Costumes I have posted to date there is still a fairy line coming and a few other fall looks so keep an eye out. Don't forget TODAY, July 9th is the LAST Day to use the 15% off code on our website http://www.hannahstutus.com/ enter HappyBirthday - all one word in the discount section at checkout. Good until 11:59 CST tonight - we only do coupon codes about 1-2 times a year so take advantage of the last day to save .. you can even use on a costume! The winner will get our Mermaid Dreams Tutu its a beautiful mix of purple, lavenders, greens, blues and teal shades.. it will be a 18.5 inch starting waist and a 8/9 Length ... I'll even fancy up the top layers with tied ribbons for the winner .. the ribbon bow will be in a soft lavender color. This will fit most 1-2 yr olds you could use on those sitting 6-12 mth olds and it will stretch to fit those little 2-3 yr olds... But even if you dont have one .. try and win for a gift!! Little girls love to get these .. I'll even gift tag for the winner if needed .. Thanks for participating in the Birthday Week Giveaways. 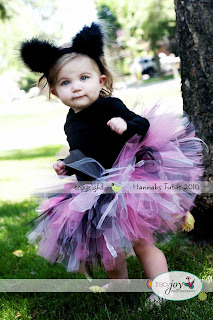 I am loving reading everyones posts on Birthday Ideas, what tutus you would love to see in a giveaway, what your fav Halloween costume is and what our best sellers are AND I am paying attention to what you say .. you will see that in the weeks to come with our giveaways :) Our newest giveaway will be posted shortly so keep an eye out! Well as promised there is a giveaway EVERY week this summer .. BUT this week is our special Birthday Celebration week as we celebrate our Hannah's 5th Birthday .. so you will find some extra special giveaways and A SAVINGS COUPON CODE .. so check out the details below and be sure to have a FUN, but SAFE Fourth of July Holiday this weekend! This special is ONLY good for purchases on www.hannahstutus.com (sorry it can not be used in our etsy store only on our official website that we run). You may use the coupon code now (Friday, July 2nd) through next Friday, July 9th at 11:59 pm CST. So just enter HAPPYBIRTHDAY into the discount code area at checkout and save 15% off of your order total (savings does not apply to shipping or taxes for local MO residents). So now on to the Birthday Week Giveaways!!! (Keep an eye on our facebook page and blog this week!!! to celebrate Birthday Week we will have some random 1-2 day giveaways now through Friday, July 9th... so enter the Gift Certificate Giveaway and check back daily to see what else you can enter to win this week). The $30 GIFT CERTIFICATE GIVEAWAY!!! I know many of our readers and facebook fans have been eagerly awaiting the week when we would give away a gift certificate... for week's we have mentioned that we would give away one Gift Certificate to a lucky winner during this week's giveaway. The Gift Certificate Value was determined by the number of fans we had at noon on July 1st, 2010 on our facebook page.. so with just over 300 fans .. we have a $30 Gift Certificate for one lucky winner this week. The winner will get a special coupon code with a $30 value on to use for a purchase now through December 31, 2010 on our website www.hannahstutus.com .. the winner is welcome to use the gift certificate for their own purchase or to give to a friend as a gift.. just think what a great 1 year birthday gift or a baby shower gift ... so perhaps you didn't know we do Gift Certificates?? Well we do .. you can purchase in most quantities, just contact me at info@hannahstutus.com if you want to purchase one for a Baby Shower, Birthday or just because gift! (PLEASE REMEMBER - entries for the giveaway need to be posted under the GIFT CERTIFICATE GIVEAWAY listed in the discusssions area on OUR FACEBOOK FAN PAGE to be counted. You MUST post an entry for each of the below to get counted for them) SEE link below to discussions area. (1) 1 Entry for being a Fan - so just post a Hello I am a Fan and get an easy entry to win! (2) POST the information on your facebook page about our giveaway & specials for this week- you must come back and post a link when you enter for this entry. (3) POST ABOUT OUR GIVEAWAY on either a blog or message board you belong to, post the link to the post to get this entry. 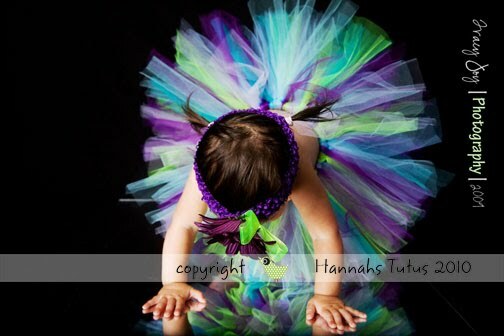 (4) Check out our website at http://www.hannahstutus.com/ and post what Tutu you think is part of our TOP 5 SELLERS List. (6) For the last entry, post when you start to think/shop for Halloween Designs.. is it July.. or not until the last minute of October.. we want to know! Have fun entering .. and don't forget to check back... we will have some addtl giveaways posted randomly until next Friday! We are having so much fun with our weekly giveaways... be sure to check out our Birthday Celebration week of fun deals and giveaways for the week of July 2nd - July 9th!!! The winner of this past weeks giveaway ... is fb poster J Cisneros!! 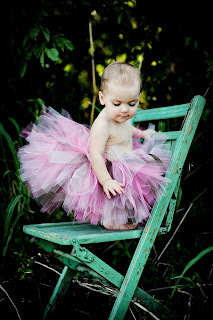 Hope you will love the beautiful tropical tutu with ribbons (as seen & described in the giveaway thread below) its a cute one .. we will be sending to you shortly! Thanks to all that participated! Remember each week this summer we have a different giveaway that you can enter into. So we will have many winners! Mom of three capturing my journey as I conquer Stage IIb Breast Cancer with God and humor by my side. Bella Claire Baby #1 place for bloomers & onesies! 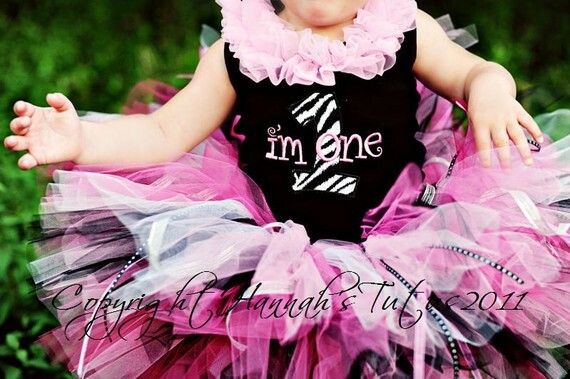 Welcome ~ My name is Lisa, I design everyone of Hannah's Tutus. What started out as a hobby almost 4 years ago has turned into a fulltime business with tutus now shipping worldwide. Click on the About Us button to learn more about us. Please note any pictures shown on this blog are the sole property of Hannah's Tutus. Contact us via email: info@hannahstutus.com We respond to inquiries within one business day, if you fail to get an email back please check your spam folder if you are a yahoo user. Blog Design By Restored 316 Designs © All Rights Reserved.